Penn Cove Mussels | The Happy Wonderer ~ ellen b. 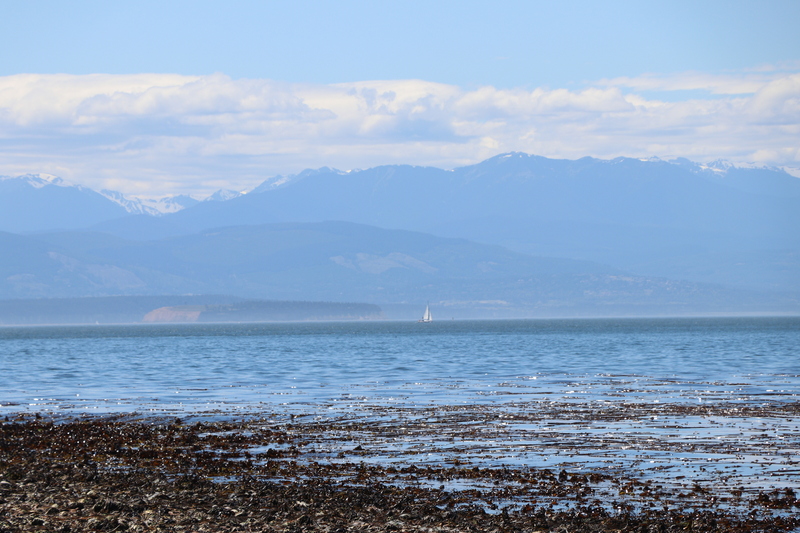 On Saturday we set out to the Northern end of Whidbey Island with Fort Ebey State Park our destination. We had to be out of our house from 1 until 4pm so a drive was a good option for us. 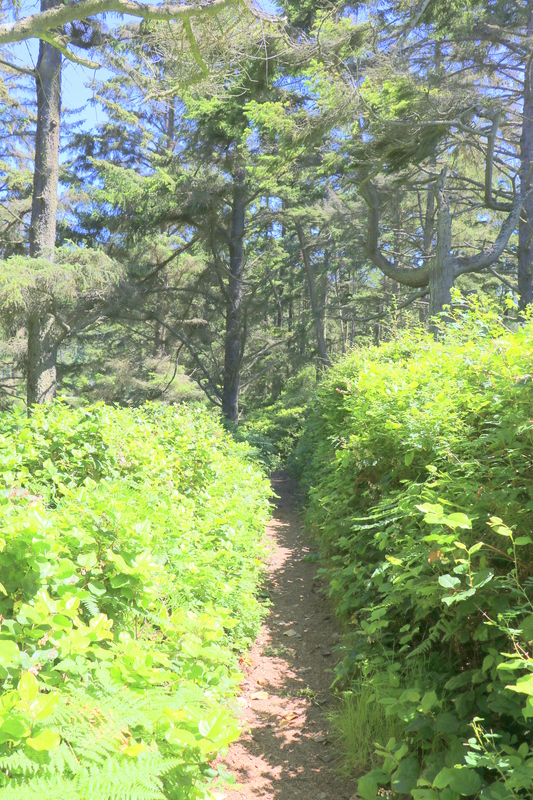 Set on the western side of Whidbey Island, Fort Ebey was constructed as a coastal defense fort during the Second World War. 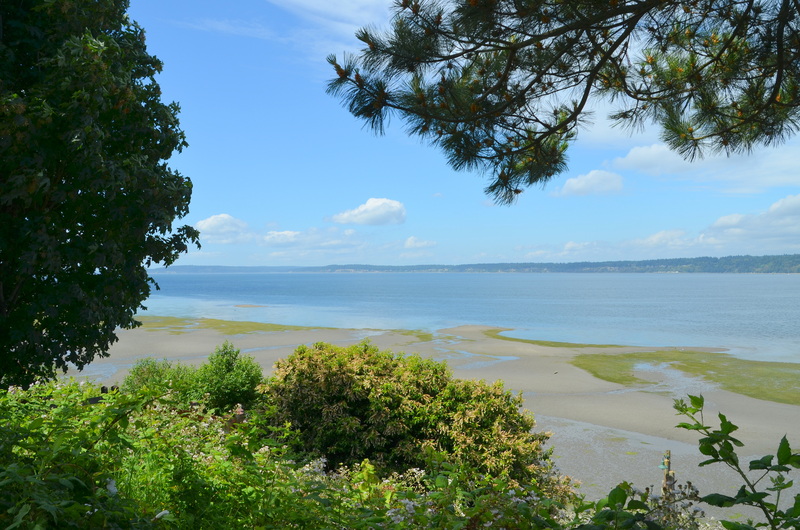 The bluff trail overlooks Admiralty Inlet and offers peek-a-boo views of Point Wilson Lighthouse across the bay. 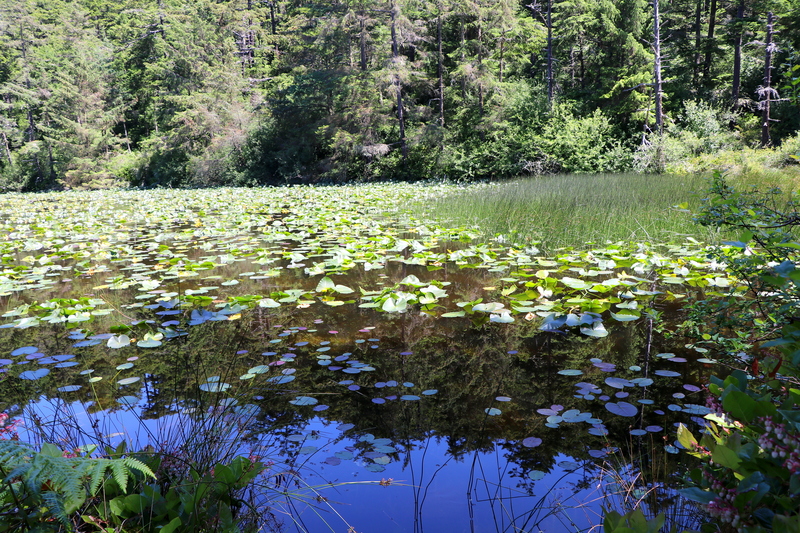 Douglas-fir and hemlock provide shade along forested trails sprinkled with pink big-leaf rhododendrons in season. We took a short loop that took us to Lake Pondilla and were rewarded with a viewing of this bird. 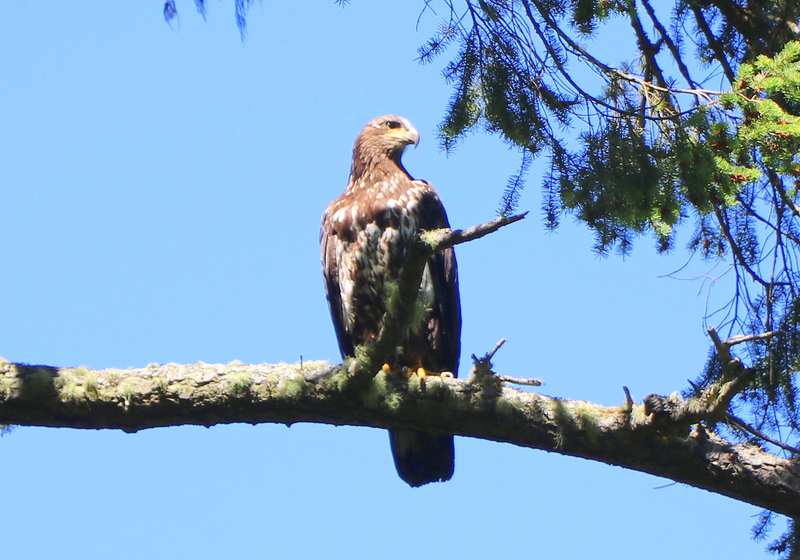 Is it a Golden Eagle, a young eagle, or some kind of hawk? 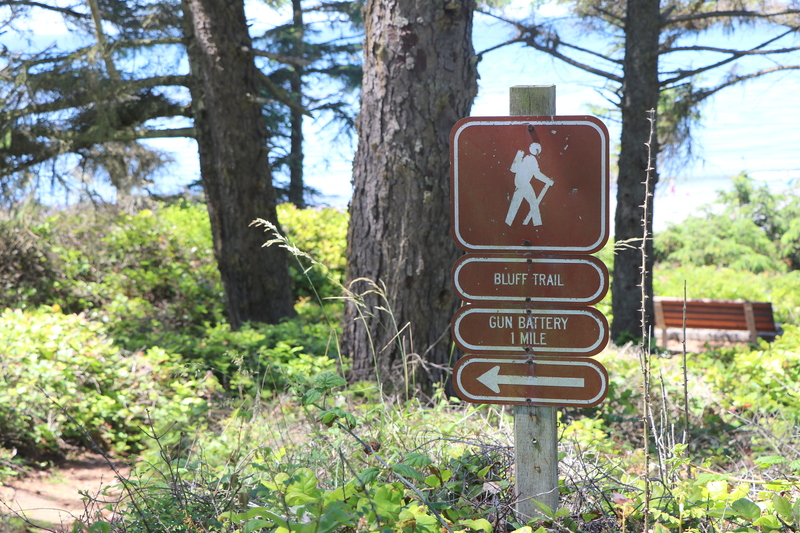 Next time we visit we’ll take the Bluff trail to the Gun Battery. 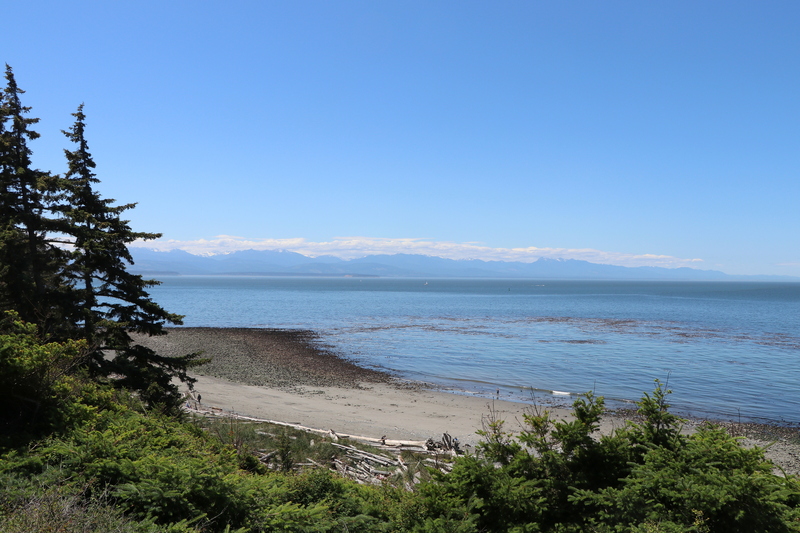 From Fort Ebey we drove the 5 miles to Coupeville and Penn Cove which are set on the Eastern coast of Whidbey Island. We enjoyed some Penn Cove Mussels and these views. Our Discover Pass expires the end of the month so we’ll have to take advantage of visiting some more Washington State Parks. Summer officially begins this Thursday. Do you have any special summer plans? At this stage of life I have spurts of working at different capacities. I’ve been working on one project at 100% which means my other daily operations are working at a lower capacity. I am learning more and more to appreciate the days and hours that my output is 100%. 2. Have you done your taxes? Planned/booked a summer holiday? Thought about or started your ‘spring cleaning’? Besides what’s listed here, tell us one task that needs doing before spring rolls around. We have an appointment with a bookkeeper to do our taxes on Thursday. Spring cleaning is definitely on the schedule as we are putting our home on the market in May. Spring cleaning will probably start in April, with the most daunting project being the cleaning of our mini blinds. No Summer holiday this year as we will be using all our energy to move and adapt into our new environs. 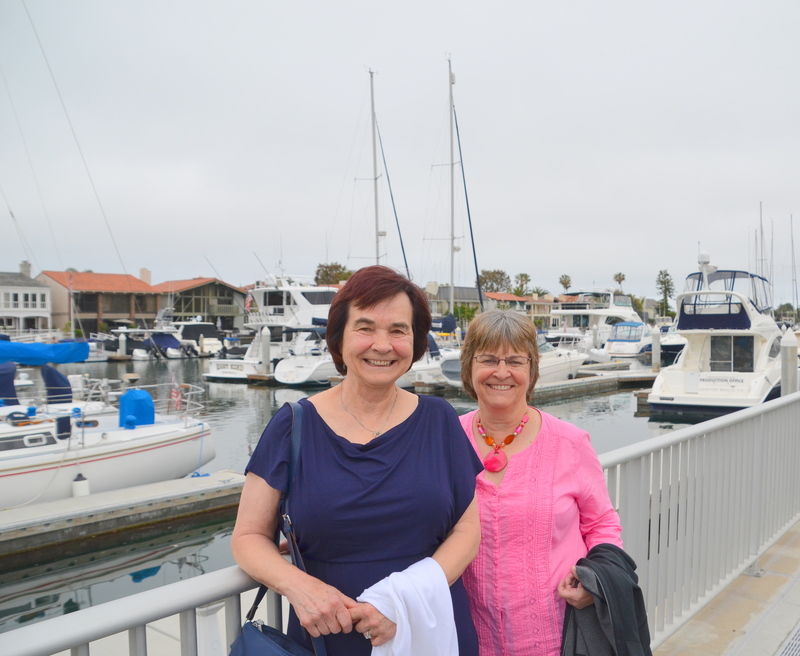 We do have a fall road trip planned in October to attend my 50 year high school reunion in Montebello, California. 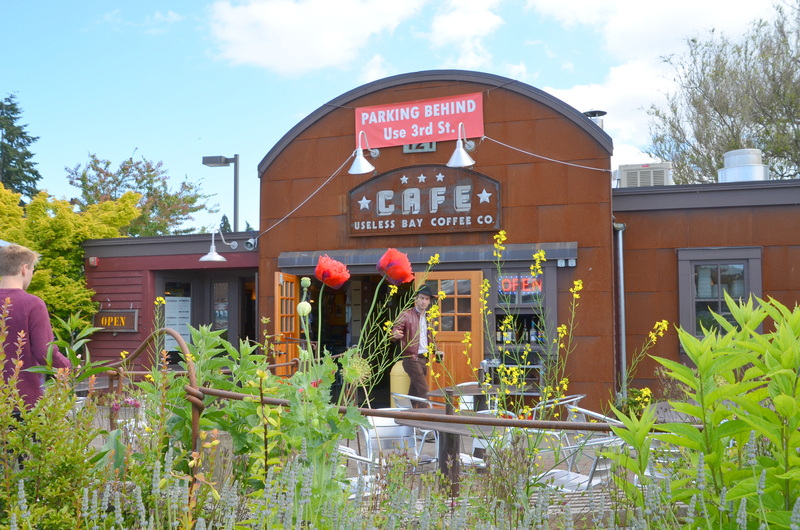 Fish and shellfish stand out as the favorites for the Greater Seattle area. A favorite cooked in a variety of ways or smoked is Salmon. I did not grow up with much fish and it is not my favorite thing. A good barbecued Salmon is something I like. 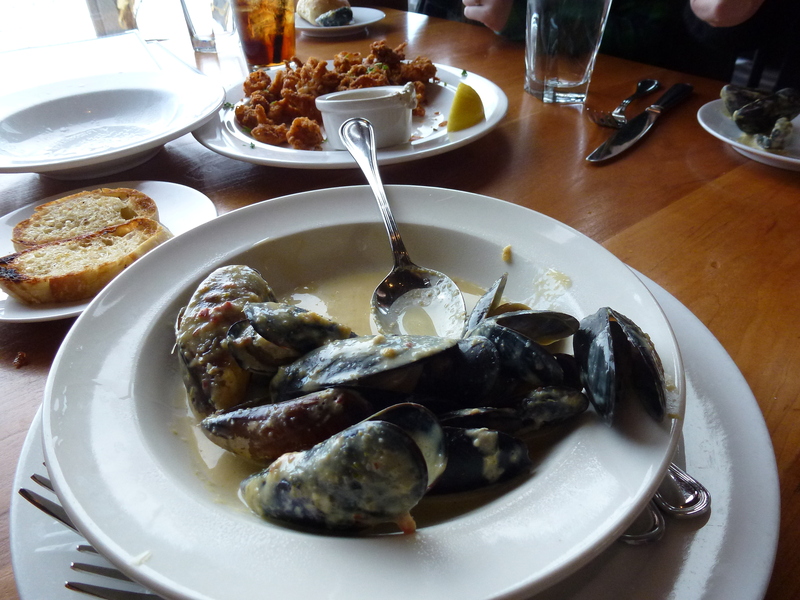 I also enjoy Penn Cove Mussels in a great sauce on occasion with a thick slice of bread that I can dip in the sauce. 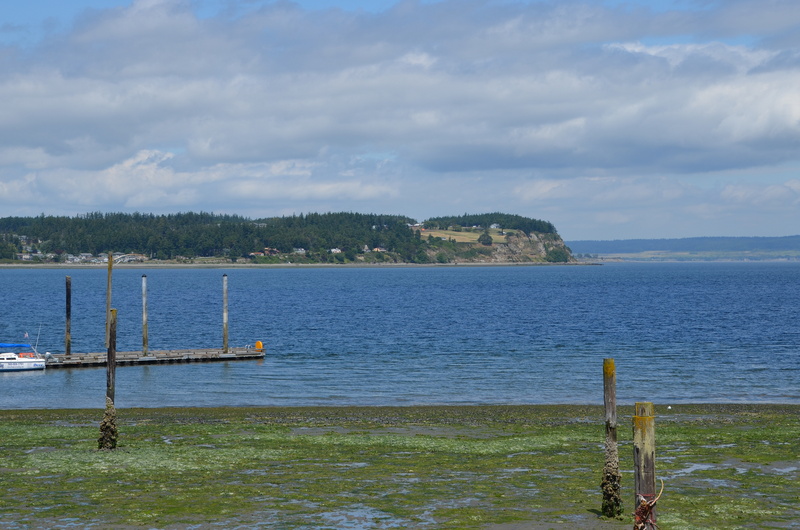 This next weekend the Penn Cove Musselfest in Coupeville is happening on Whidbey Island. I have to mention Dungeness Crab, too. 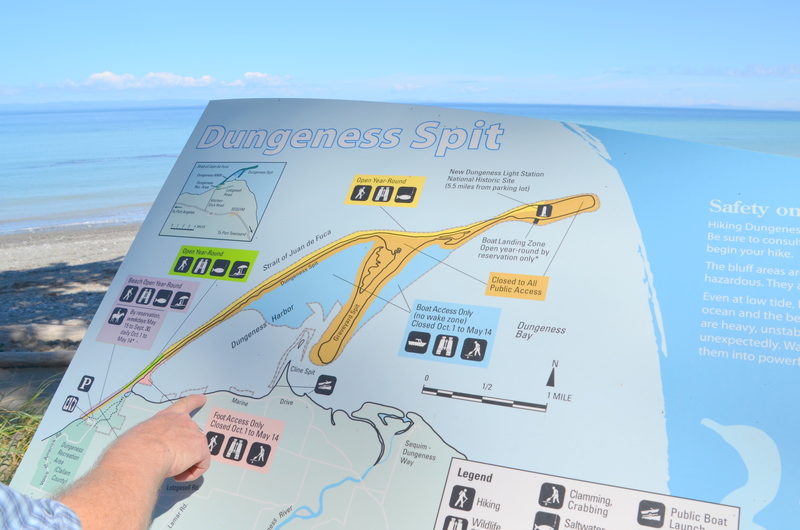 We have Dungeness Bay, Spit and Dungeness National Wildlife Refuge in Washington State. I’m amazed with myself that I’ve grown to enjoy a good oyster in a great sauce which would have made me gag years ago. 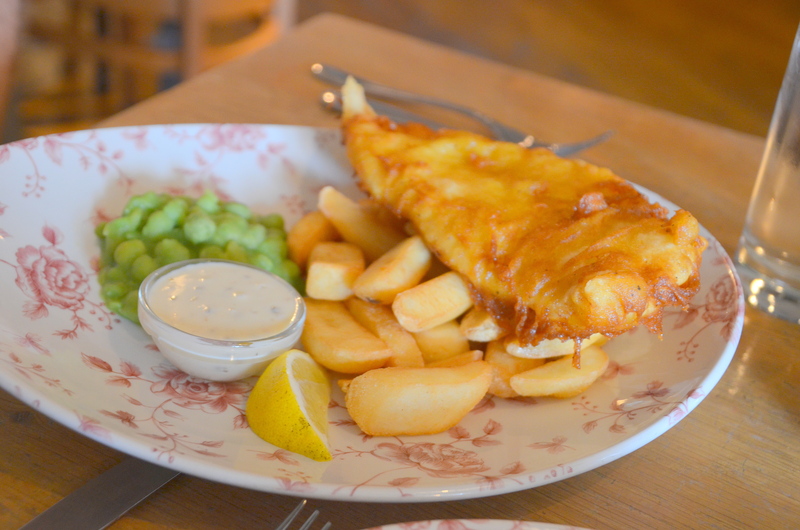 A good piece of halibut, swordfish, or some good ole fish and chips cooked to perfection are dishes that I enjoy once in a while. 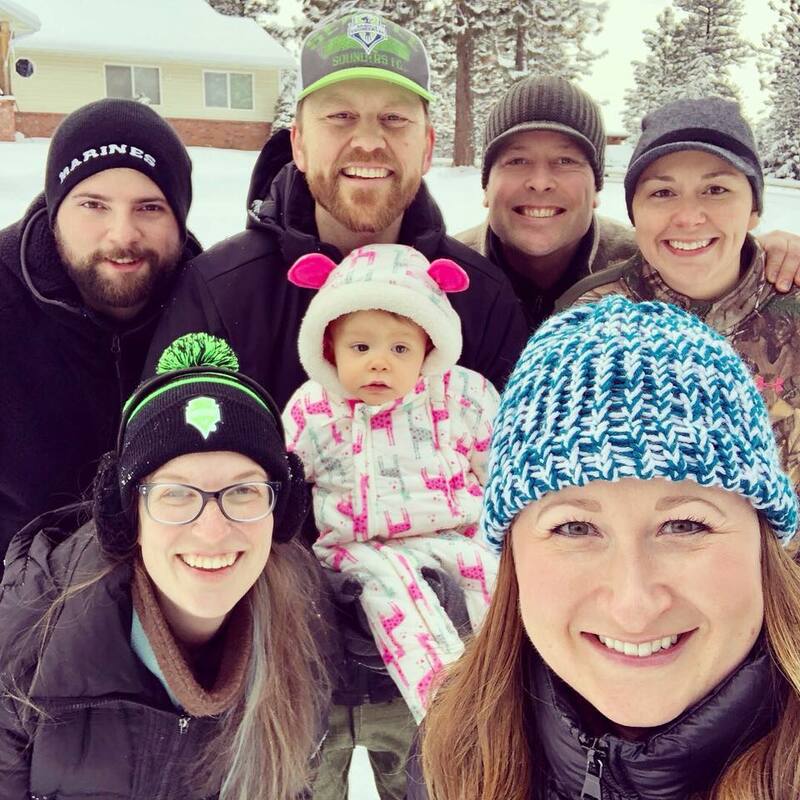 We will be leaping at the opportunity to sell our home in a very hot market in the Seattle area and move to an area of Washington that is more affordable. Special Side note about Leap Year: My sister Vera was born on leap year and only has her real birthday once every 4 years! We celebrate her on the 28th the other three years. Happy Birthday Vera! You are a dear sister and I appreciate you! 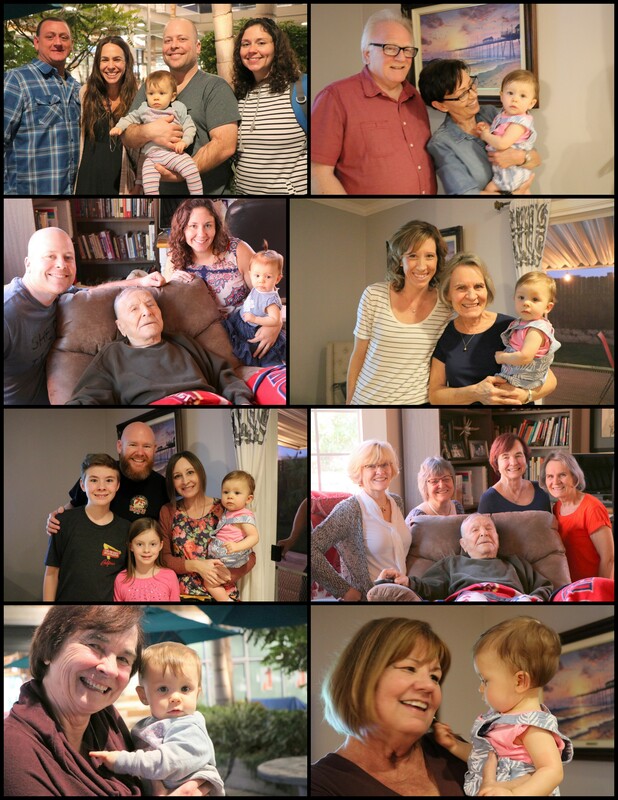 The most fabulous/large experience I had in February happened at the very beginning of the month when I was able to fly down to Southern California with our son’s family and introduce our granddaughter to some of her Great Uncles, Great Aunts, her cousins once and twice removed. Most special was introducing her to her Great Grandfather (Dzeda). We had some unexpected snow that only lasts a short time which is great, the short part. My dear old pop is feeling better in his health decline and he sounds better which is good to hear. We are making progress on this old house, getting it ready to sell. I’m looking forward to March. 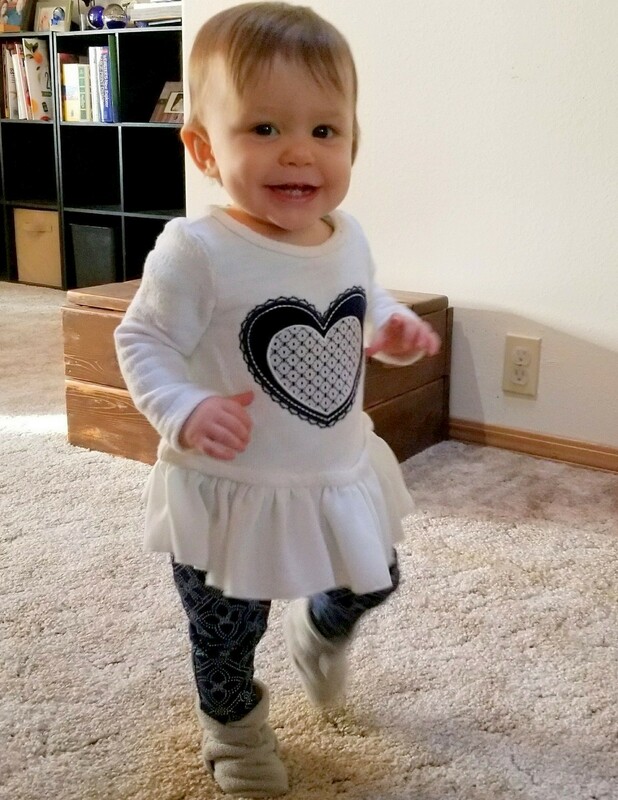 Our little granddaughter is turning one year old! Wow how fast the year has gone. She is just marching forward to her milestone! Walking, signing, lots of new teeth, eating some solids, standing up from a sitting position, climbing and learning some consequences from over reaching her limits and safety boundaries. Her Baba (me) will be enjoying a birthday in the month of March, too. 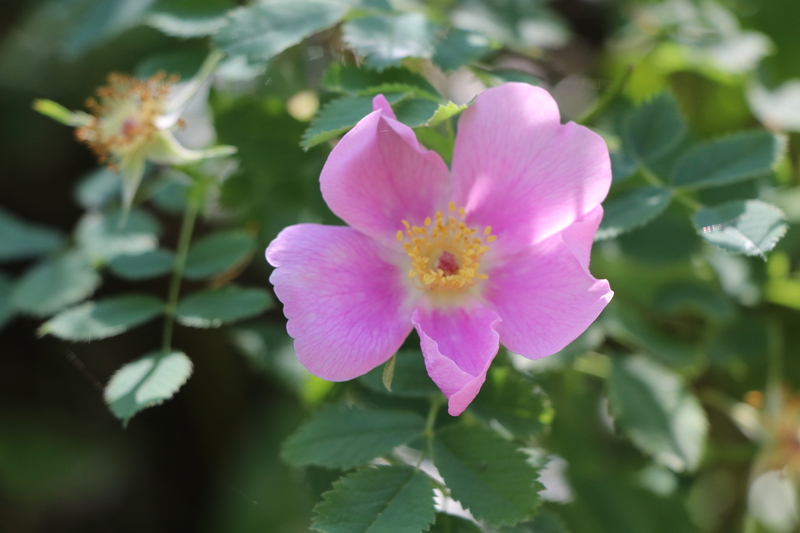 Thank you Jo, for the questions you ask for Wednesday Hodgepodge. Thank you, too, for those of you who swing by and read the answers. I appreciate you. 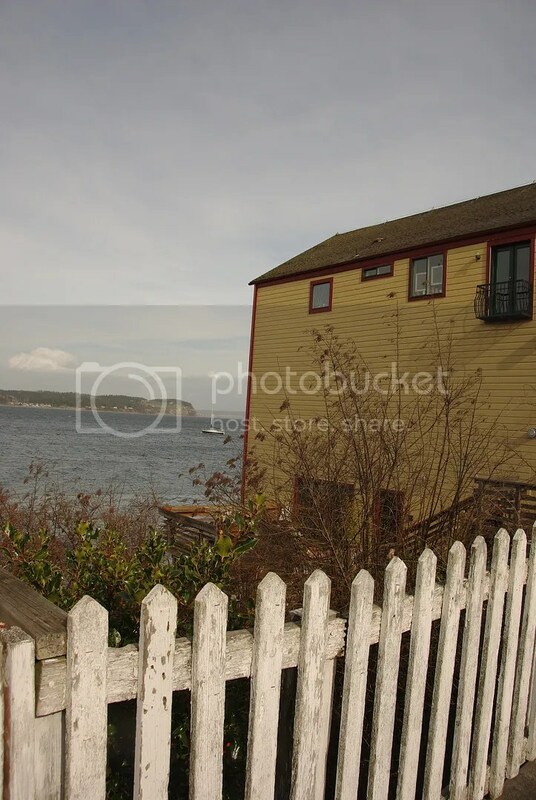 This fence is in the town of Coupeville on Whidbey Island. 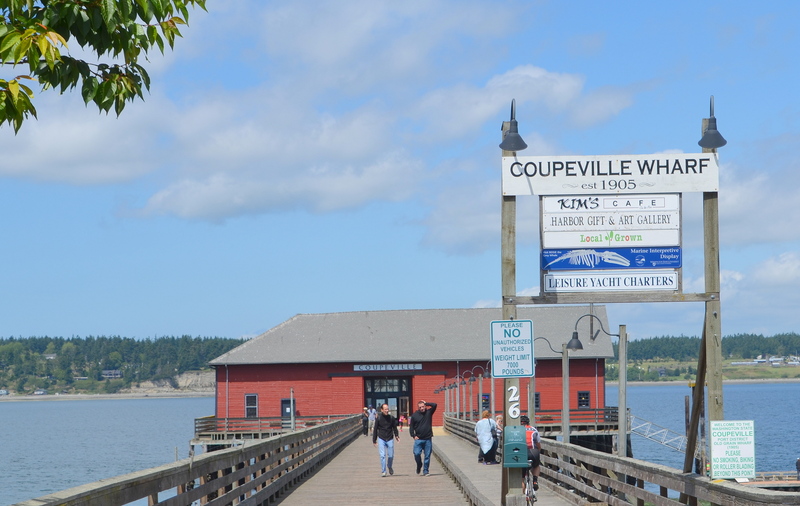 Coupeville is on the shores of Penn Cove. 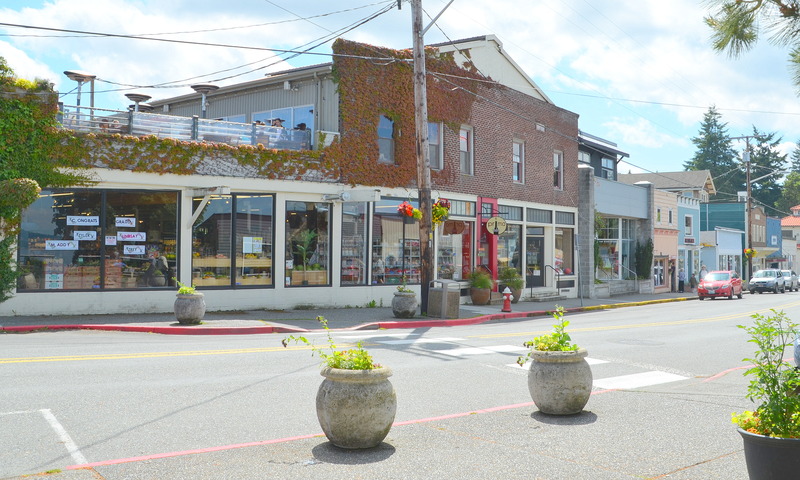 We enjoy the Penn Cove Mussels in this little island town in Washington State. Truth be told it’s the sauce that makes a mussel dish good in my opinion. We’ve enjoyed eating at Front Street Grill in this little town and they serve mussels in a variety of very tasty sauces. One of my favorites is Coconut Green Curry Mussels! Linking up with TexWisGirl for Good Fences #99! Soon I hope to take a drive on this island again. We’re having a “sisters” weekend early March and my head is spinning with fun things we can do together. Two sisters in Washington state and the other two sisters in Southern California. We are meeting up in the northwest. 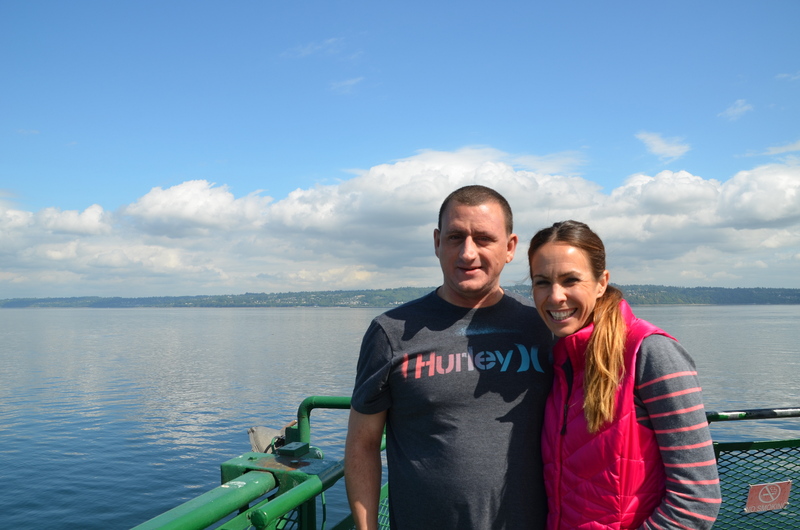 I never tried mussels or oysters or much fish to speak of until we moved to the Seattle area. Fish was not something my mother was too familiar with in the kitchen. We also ate kosher growing up so shell fish was taboo. Hope you have a good Thursday! 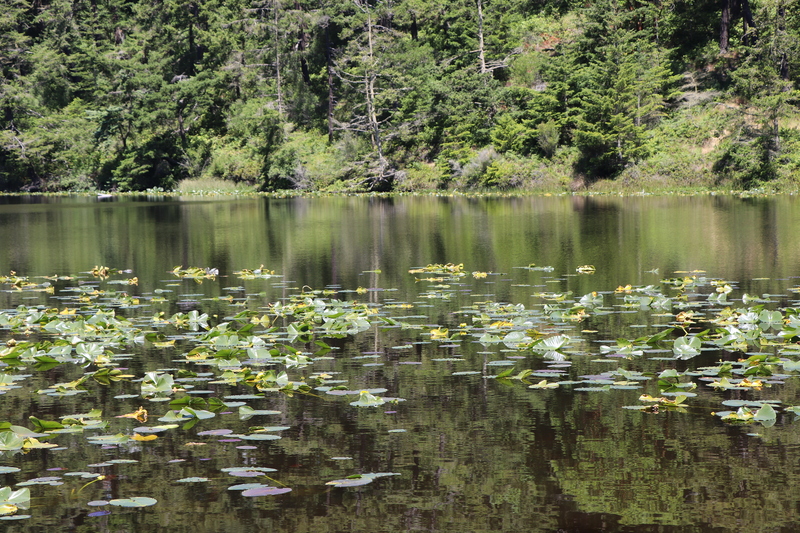 Washington State has a few islands to enjoy. 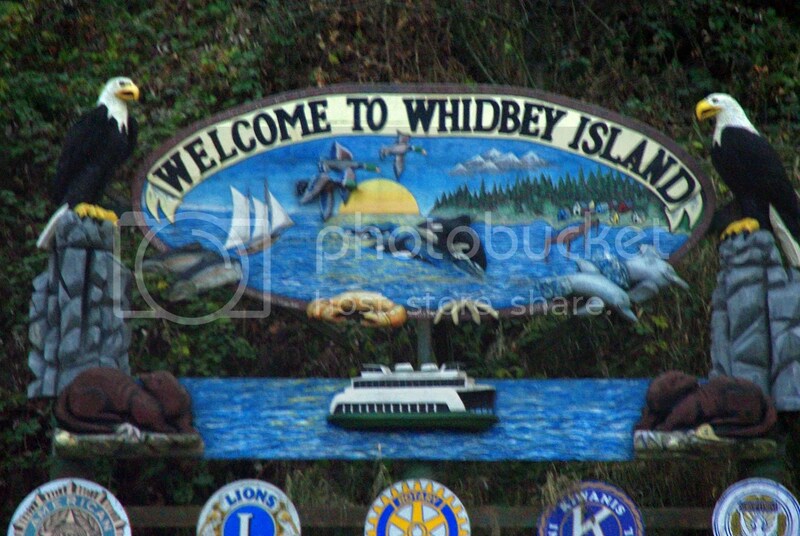 One of our favorites is Whidbey Island. 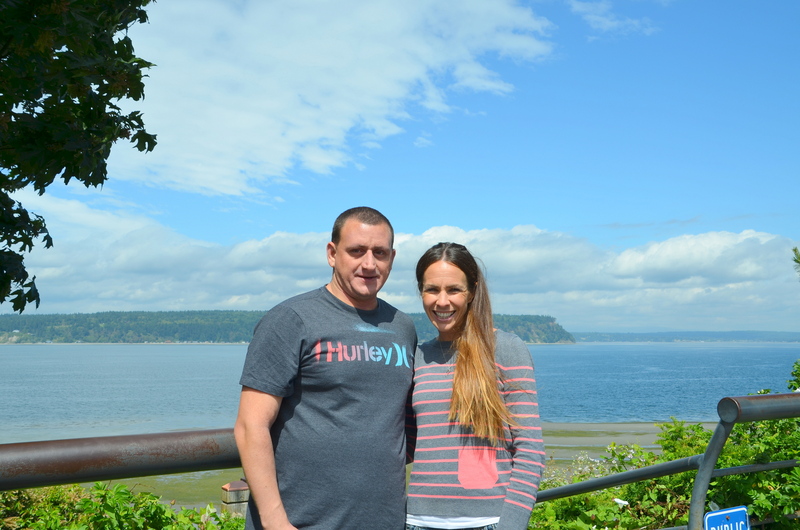 The Bible camp our kids have attended and served as directors at is on Whidbey Island. 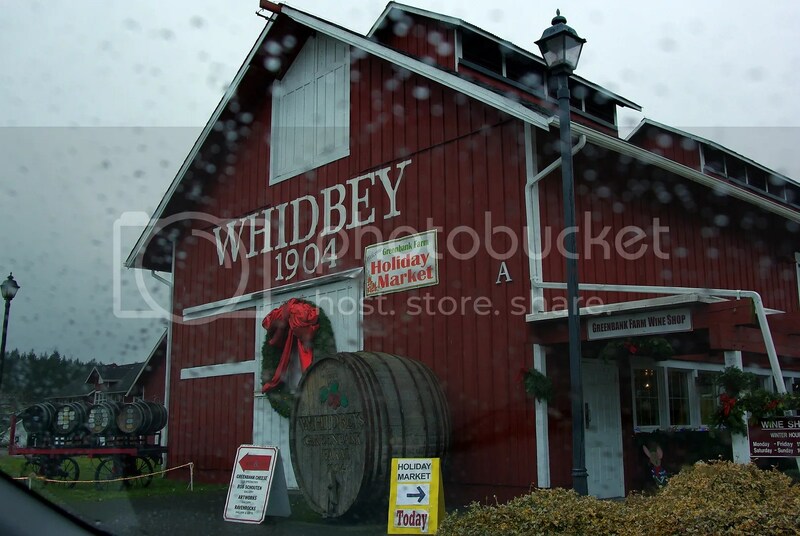 When we have out of state company we try to include a trip to Whidbey Island. 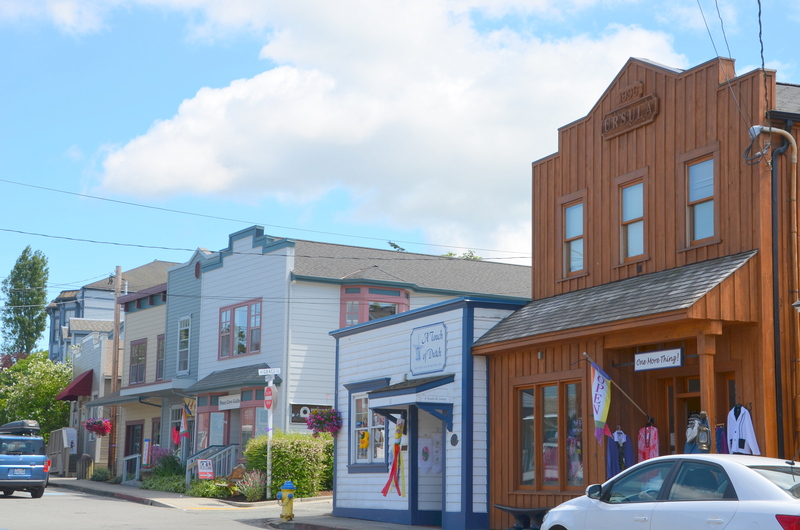 Our favorite town on the island is Langley. 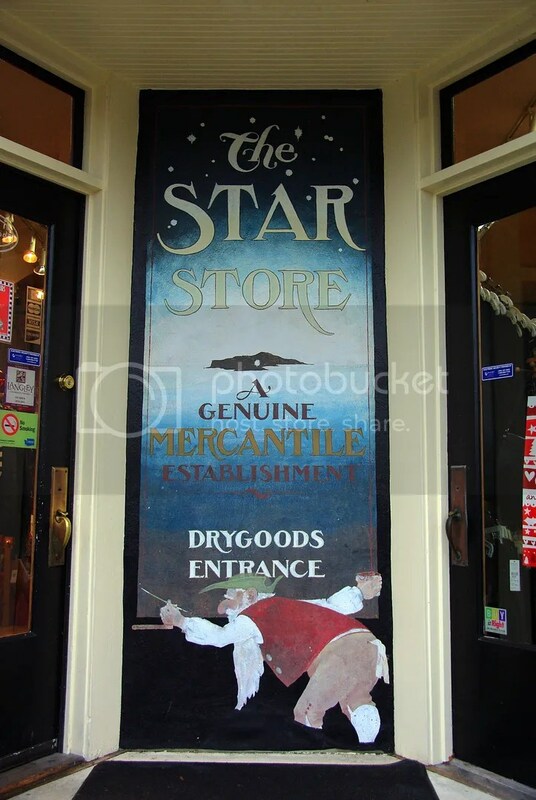 The Star store and the Saratoga Inn is in the little town of Langley. 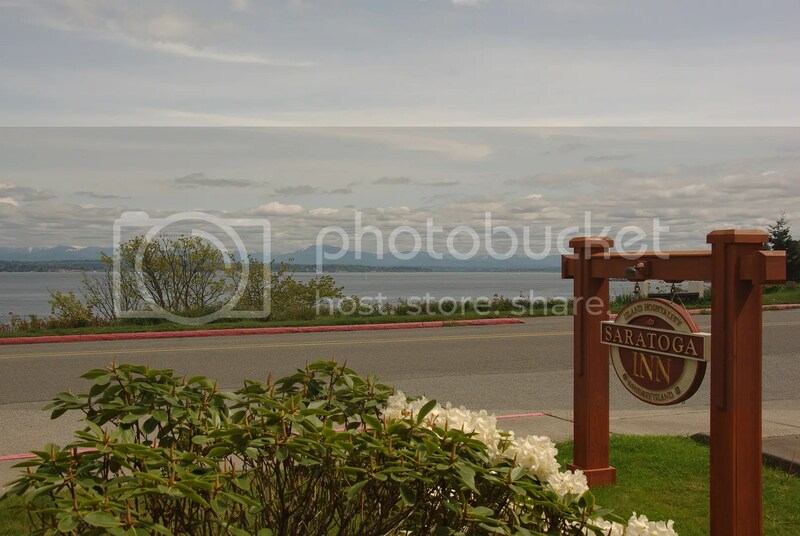 We stayed at the Saratoga Inn when we were attending a wedding on Whidbey. 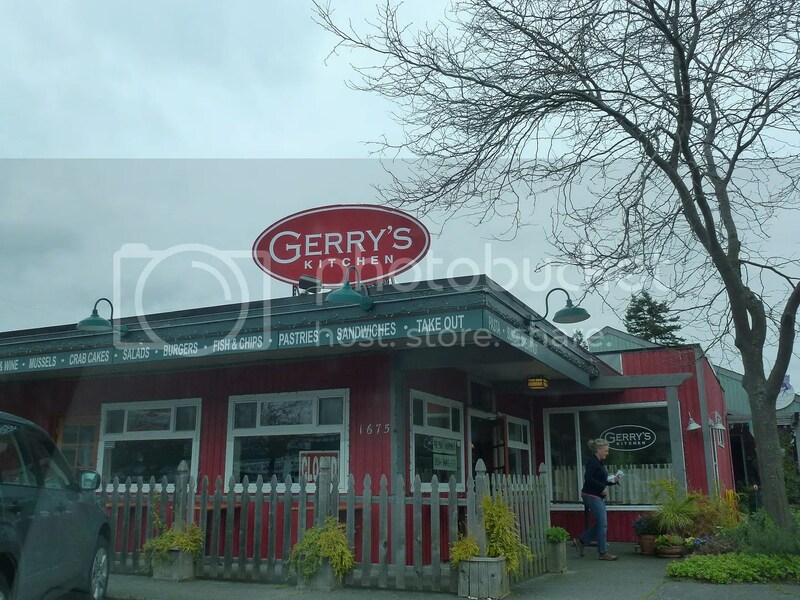 We ate at Gerry’s kitchen in Freeland and had a great breakfast and I’m sad to say that they are now closed. There are a nice little collection of antique shops in this town. 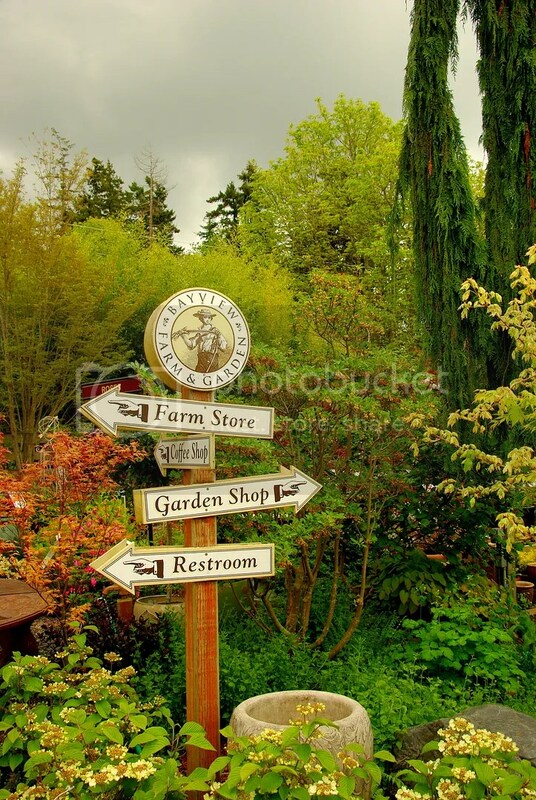 Another town we like to walk through and eat their great Penn Cove Mussels is Coupeville. 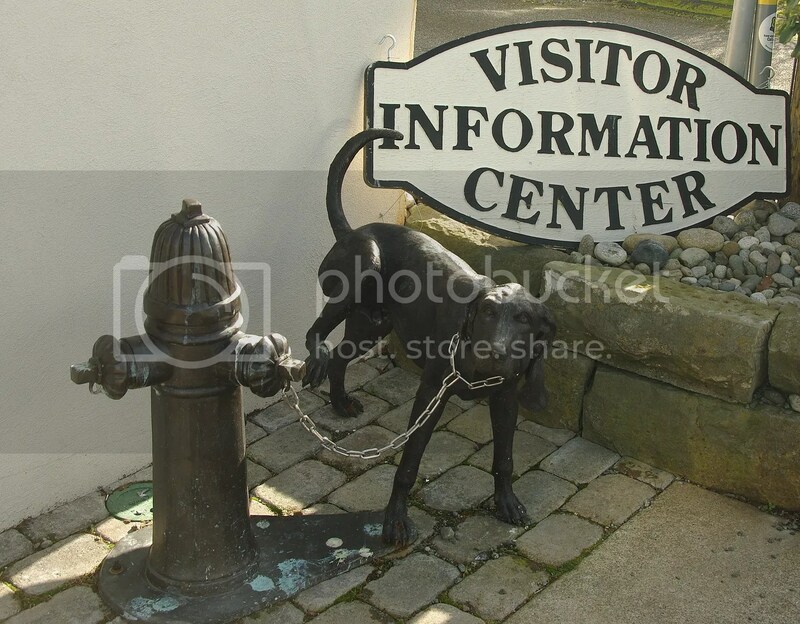 This visitor information center is in Coupeville. The town’s Main shopping street, Front Street, borders Penn Cove. I had to include a nice bowl of mussels. We had these at Front Street Grill, Coconut Green Curry Mussels…delicious. 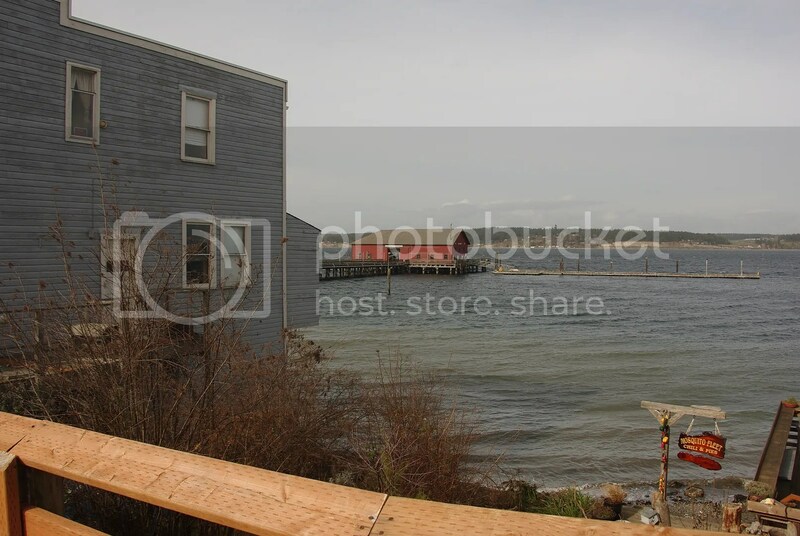 And here’s a photo of Penn Cove from Front Street. I’m linking up with Lesley’s Signs Signs weekly meme. 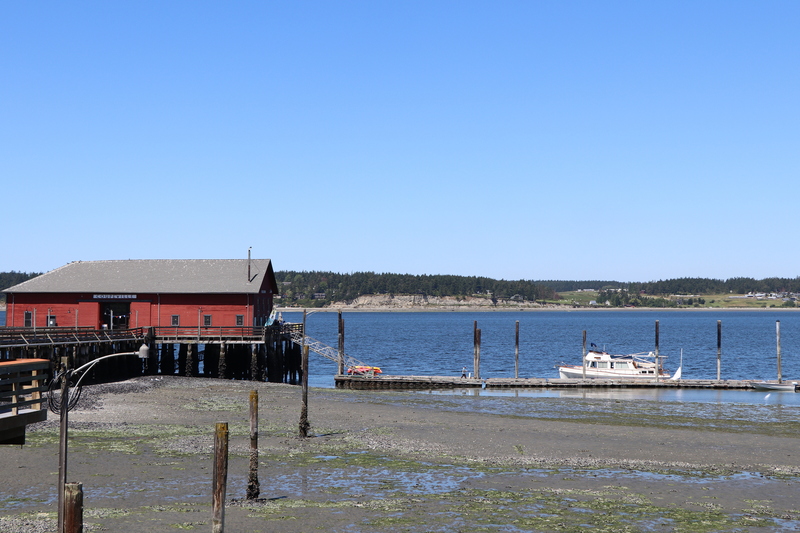 When traveling on Whidbey Island we like to stop in Coupeville for Penn Cove mussels, Freeland for antique shopping, and our favorite town on the Island, Langley, for shops and a nice stroll. 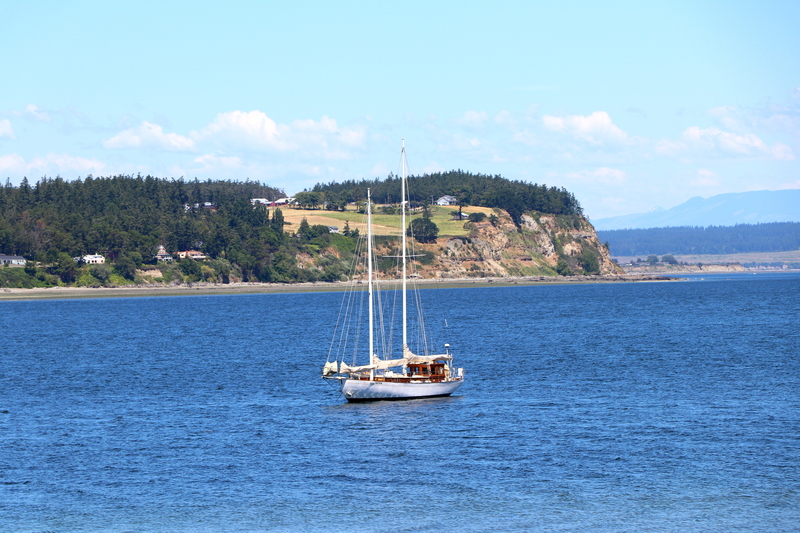 On our trip last week after exploring Deception Pass we headed south to the Island County seat of Coupeville. My plan was to have lunch at Front Street Grill and introduce Lenny and Debbee to Mussels. 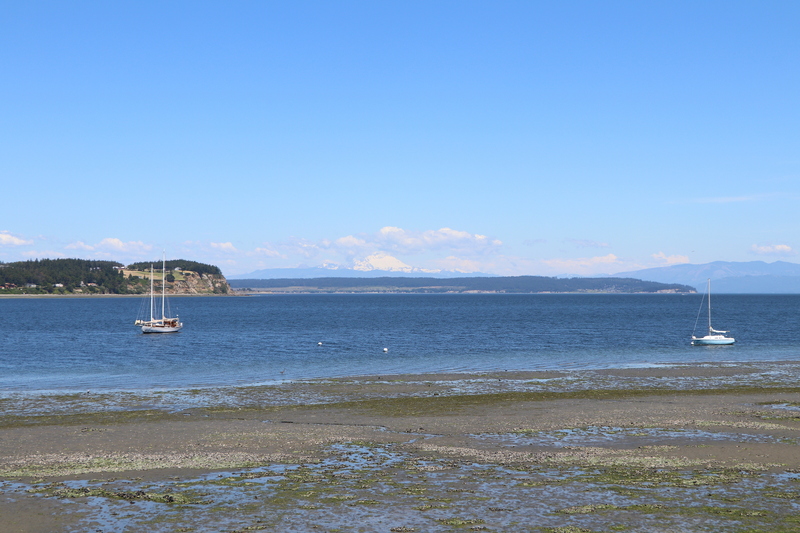 Coupeville sits on Penn Cove which is known for their mussels. I forgot to take a photo of those mussels. Both Lenny and Debbee didn’t think they liked mussels but after they tried them they became fans. Front Street Grill offers a whole page of mussels in different sauces that are delicious. 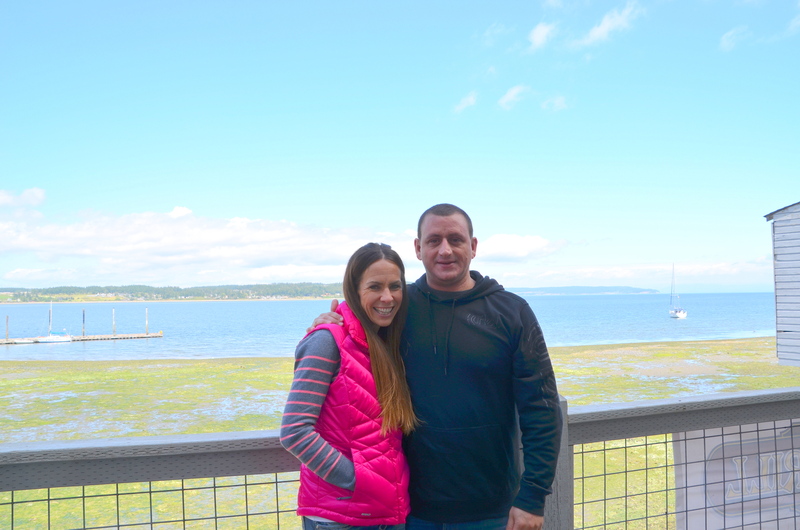 This photo is from our trip to Coupeville with my cousin and we had the Coconut Green Curry Mussels. This time around we chose the Rockefeller sauce because someone in the group detests coconut! How can you go wrong with a sauce described like this “Spinach, bacon, Pernod, shallots, garlic and cream. The great thing is that all the sauces for the mussels were Gluten Free. Debbee and Lenny with Penn Cove in the background. 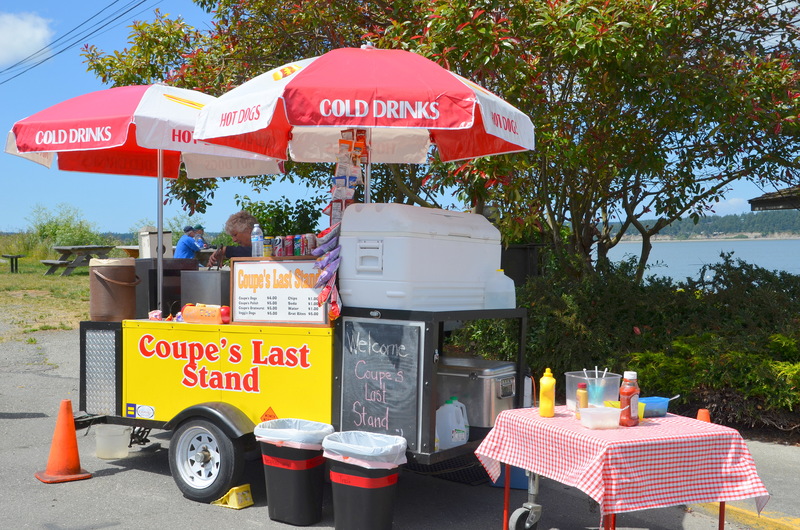 I thought this was a creative name for this stand located at the end of Front Street. 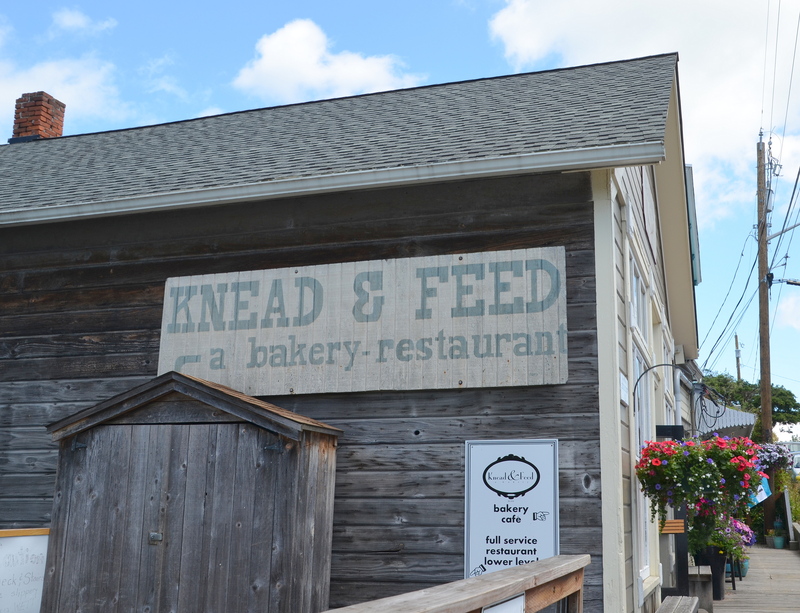 We headed south again to our final destination on the island, the little town of Langley. 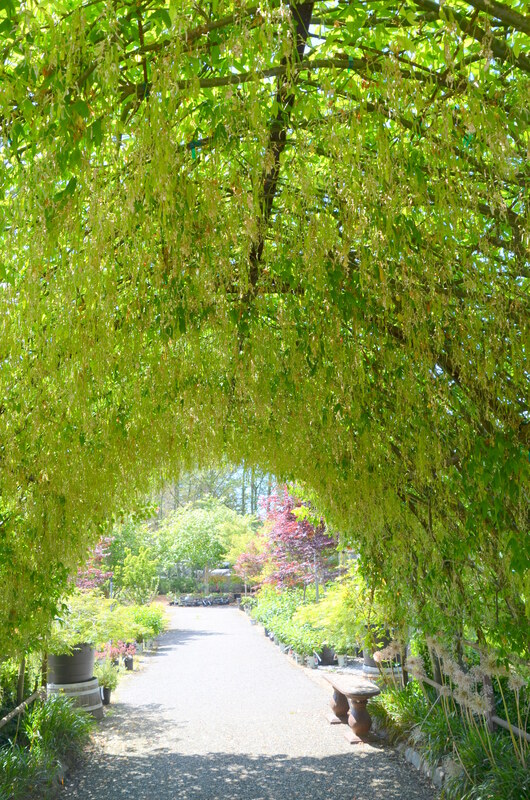 We stopped at this garden store hoping some flowers would be blooming on these great trellises. 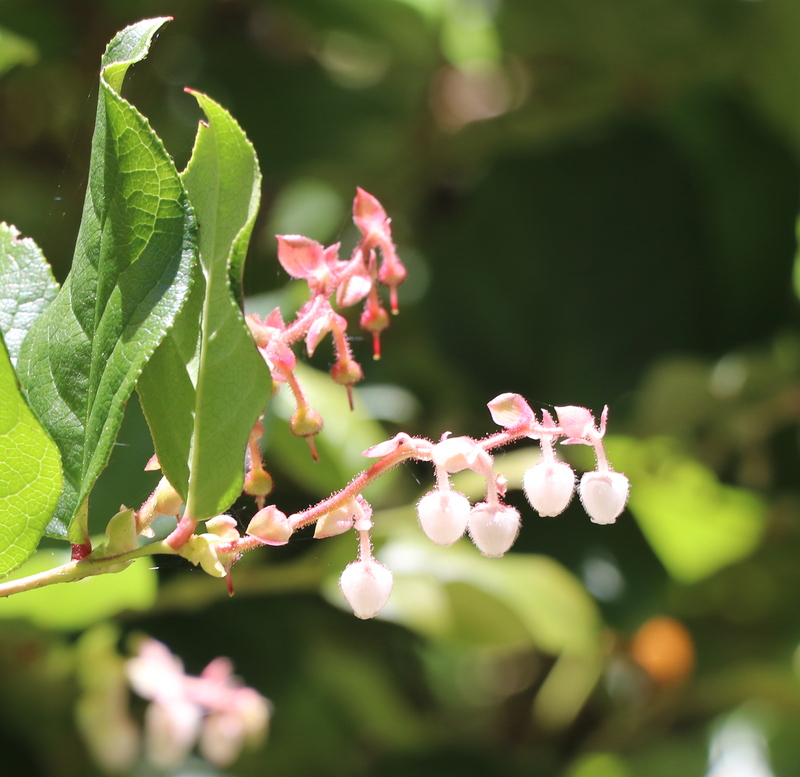 The greenery was nice but we had missed the blooms. Langley sits above Saratoga Pass. 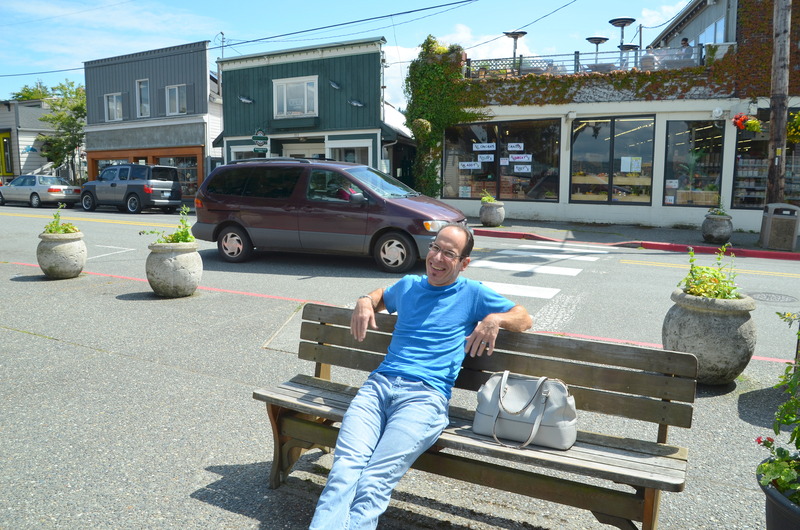 My brother in law, Steve, sits on bench. We got a refreshment here and then headed to the Cinton Ferry Dock. I think this was Lenny’s first ferry ride. 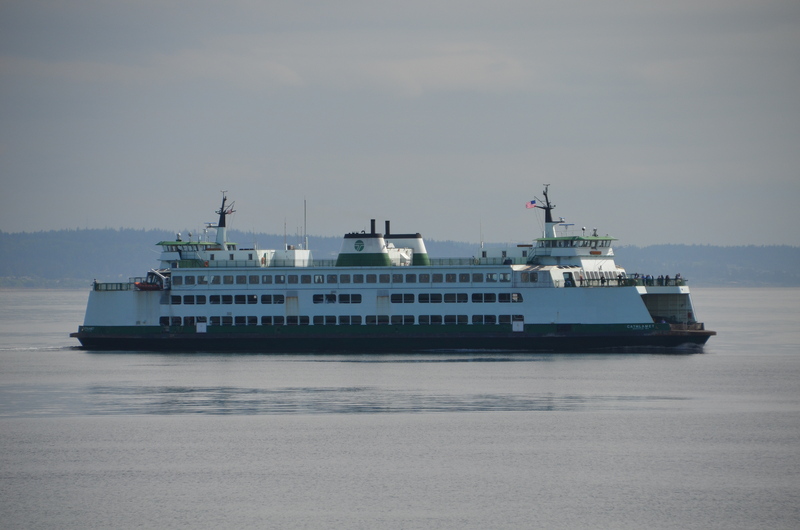 It was a still glassy day on the Sound. Another great tour behind us we headed off the ferry to meet Josh, Laura, and Dear for dinner on the mainland. After dinner we said our goodbyes to Debbee and Lenny since they’d be headed back to Southern California the following morning. We had a busy weekend around here and Dear didn’t get as much done as he had hoped to on the bathroom. You know how it goes with projects in old houses you end up finding things that need to be re-done when you open up walls and take a good look at old pipes. I have a couple days off before I put my tour guide hat back on and I’ll be sharing later in the week about the largest tour group I’ve been responsible for to date. What’s on the list for your first full week of summer?